Allied Trade Link Int'l Pvt. 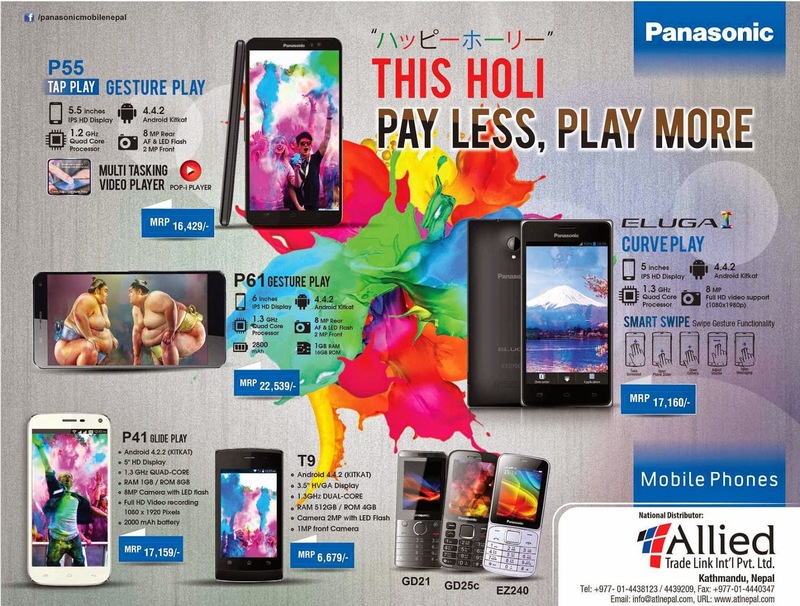 Ltd the national distributor for Panasonic mobiles in Nepal has introduced the different model of mobile phones. The models includes the entry phones to smart phones. The smartphone are powered by Android OS including many features. Check below for more info.